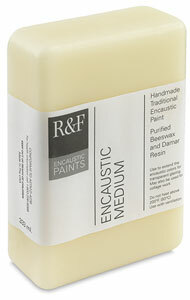 R&F Encaustic Medium is recommended to form transparencies and extend paints. It is encaustic paint without pigment. 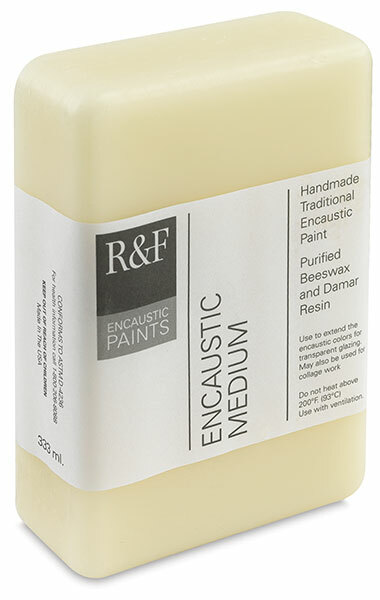 Created with the same 100% pure, mechanically filtered beeswax and dammar resin as the R&F Encaustic Paints, this medium maintains film hardness and prevents blooming (clouds on the surface). An introduction to a very spontaneous and versatile medium of encaustic (hot wax) painting. R&F offers the finest handmade encaustics paints available. This video will show the materials needed to get started and how this wax based paint is melted and applied.